The Arch is easily accessible for all types of lifestyles. If you like to stay close to home, everything you need is within a 5 block walk from The Arch at 17th & Arch. There is a neighborhood Trader Joe’s grocery store located at 22nd & Market Street. On your walk there from The Arch you’ll pass many great restaurants like Matt & Marie’s, DiBruno Bros, Misconduct Tavern and Chima Brazilian Steakhouse. In addition, there are also many other conveniences within walking distance in the neighborhood, like numerous pharmacies, coffee shops, hair salons and daycares/preschools. 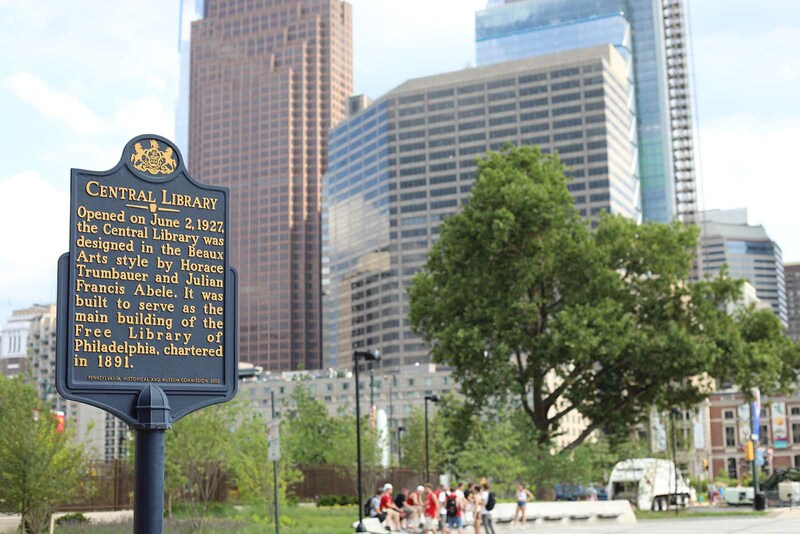 The Arch is located in Philadelphia’s exciting and ever-changing business and financial neighborhood. The area’s largest and most prominent businesses have offices in the buildings surrounding The Arch, like Comcast, Mellon Bank, Deloitte, IBM and Independence Blue Cross, along with many others. It’s not just big business in the area, start-ups and entrepreneurs have offices peppered throughout the high-rise office buildings also. The advantages of living close to the office are endless and you can discover them all at The Arch. If you work or go to school in a different part of the city, SEPTA is a great option for an easy commute. The 2 bus has a stop around the corner, there is a trolley hub at 19th and Market and City Hall is just a few blocks away with access to both subway lines and many of the trolleys. If you travel out to the surrounding suburbs, Suburban Station train station is very close to The Arch as well. If it’s important to you to be able to access highways quickly, The Arch is a great location for you, with on ramps for I-76 and I-95 very close.